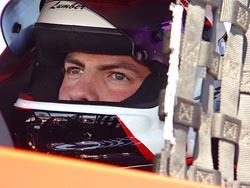 Fans of the NASCAR Whelen Modified Tour have definitely taken notice of Zach Sylvester over the past two seasons. 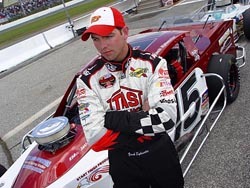 He was a rookie last year on the Tour and came out of the box strong, finishing fourth in the season-opening Icebreaker at Thompson International Speedway. From there, he recorded another pair of top five finishes on his way to tenth in the final standings. To start off his sophomore year, Sylvester made even more of a splash. He finished second to Ted Christopher at this year’s Icebreaker and backed that up by finishing second to Tony Hirschman at Stafford Motor Speedway’s Spring Sizzler. Sylvester hit a patch of bad luck in the middle of the season. Those seconds are his only top fives so far this year, but Sylvester is looking to put that bad luck behind him and has moved back in the top 10 of the standings with two races remaining. So over the past two years, Sylvester has made himself familiar to Modified fans, but prior to that, he was already pretty well known for his efforts in the NASCAR Weekly Racing Series divisions at Thompson and Stafford. Before Sylvester even sat in a quarter midget, Connecticut race fans already knew his last name. Sylvester’s uncle Tony is a now-retired racer who gained fame in the Late Model and Busch North ranks with his tiger stripes paint schemes. With bloodlines like that, you might expect Zach’s uncle to be coaching him at the track. That isn’t the case. Despite his uncle’s background, Zach Sylvester saw that Modifieds were the natural career path for him to take. Considering his love for that type of racecar, it’s a good thing. Tony Sylvester made his mark mostly in full bodied cars and not the Modifieds that his nephew races, but he’s impressed at the steps that Zach has taken in his career. Especially considering that some of the guys that Tony raced against, like Jerry Marquis and Mike Stefanik, now race with Zach on the Tour. Sylvester makes laps at Thompson with his #15. The fan base of the Modifieds is one of its biggest attractions. The young driver enjoys the Mods so much, that he is a fan himself when he’s not racing one. When Sylvester moved up to the Mod Tour, he wasn’t the only rookie. He brought a team of young talent with him as well. It’s taken some time to learn the ropes when competing against teams that have been around for decades, but their hard work is starting to pay off. “It’s experience with all of us. We went through last year as rookies. Everybody on this team was a rookie and we were the new guys on the block. We had to learn as we went. We were decent at most tracks. We struggled a little bit with our short track stuff last year, but it’s gotten better. One of those places where Sylvester has shown that he can run best in Thompson. 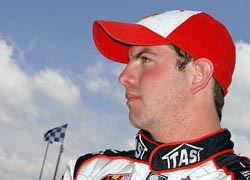 So with the 2005 season coming to a close over the next few weeks with two events at the Connecticut track, don’t be surprised to see another driver break through for his first victory before the season in the books.